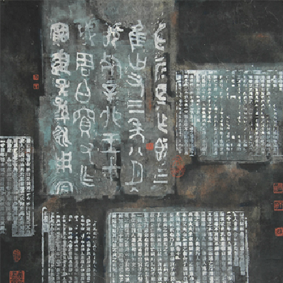 Jianying Tong has exhibited throughout China and is particularly involved in the Macau art community. 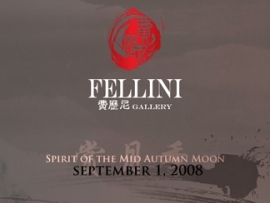 His calligraphy ink and wash paintings adhere to both traditional and abstract methods of representation. 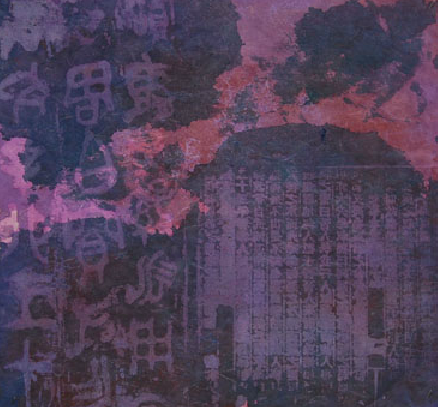 His paintings consist of Chinese characters overlaid with geometric ink rubbings and resemble historical studies of Chinese calligraphy, while at the same time they are highly influenced by contemporary aesthetics.